« Can we go for a hike on Letchworth Street? Did you go to the concert tonight on Bidwell Parkway? 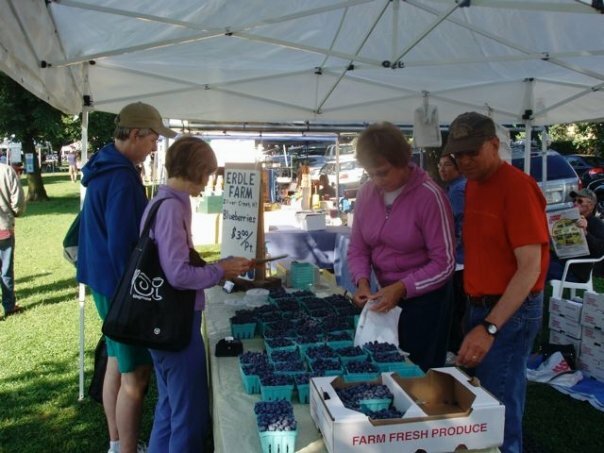 Do you shop at the Elmwood-Bidwell Farmer’s market on Saturday mornings? Bidwell Parkway is one of the Olmsted Parkways, designed as an entranceway into Delaware Park. 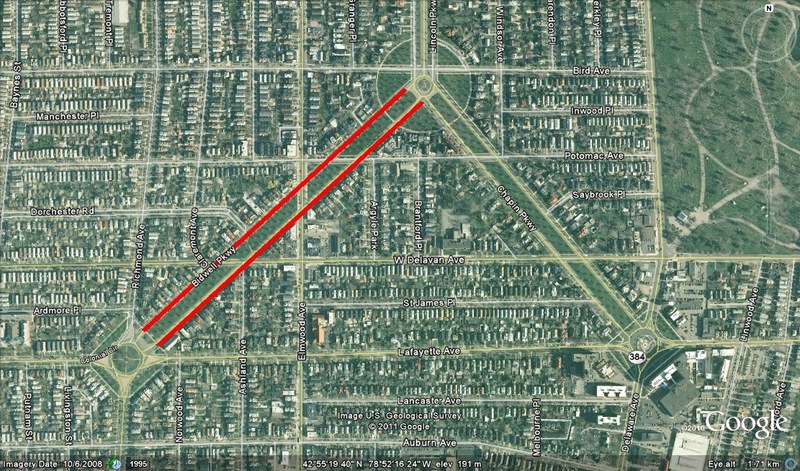 The Parkway serves as a meeting ground for the community in the vibrant Elmwood Village. But do you know who Bidwell was? Daniel Davidson Bidwell was born in 1819 in Black Rock. His father was Benjamin Bidwell, founder of Buffalo’s Banta and Bidwell Shipbuilding Company. Daniel Bidwell was active in Buffalo and established the city’s first police force. At the outbreak of the Civil War, he joined the 65th New York Infantry as a private, but was promoted to captian and was then named Colonel of the 49th NYV, and became Brigadier General in 1864. He was involved in the Second Battle of Fredericksburg, the Battle of Salem Church, and the Battle of Gettysburg. Bidwell was killed in action in 1864 at the Battle of Cedar Creek, Virginia. 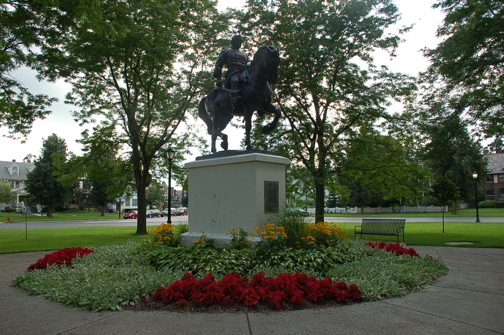 He’s buried at Forest Lawn and Bidwell Parkway and the statue at Colonial Circle are dedicated to his memory. So, the next time you’re hanging out at the market, or just relaxing in Bidwell Park, think of Daniel’s service during the Civil War and try to imagine the parkway during a simpler time. Sources: “Named for Daniel Bidwell.” Courier Express Oct. 2, 1938, sec 5, p.3.